Happy Monday and Happy Martin Luther King Jr. Day! "If you can't fly, then run, if you can't run, then walk, if you can't walk, then crawl, but whatever you do, you have to keep moving forward." 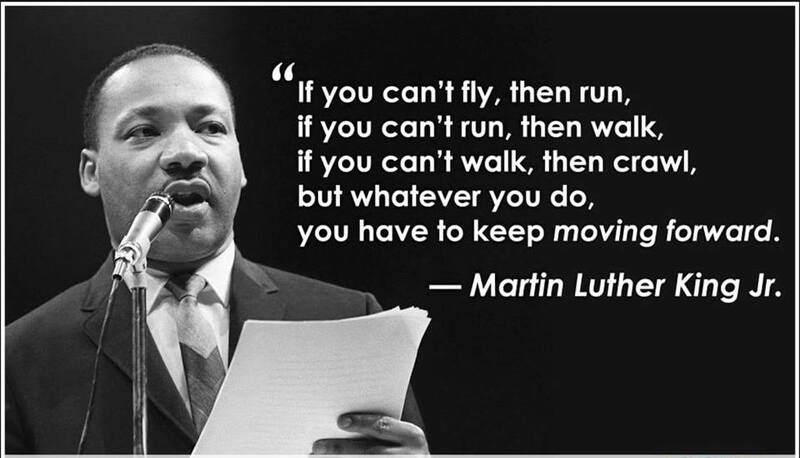 - Martin Luther King Jr. Such amazing and powerful words! It can be so easy to feel defeated and stop pushing, but we must never allow that to happen. No matter what, keep pushing forward! It will payoff!